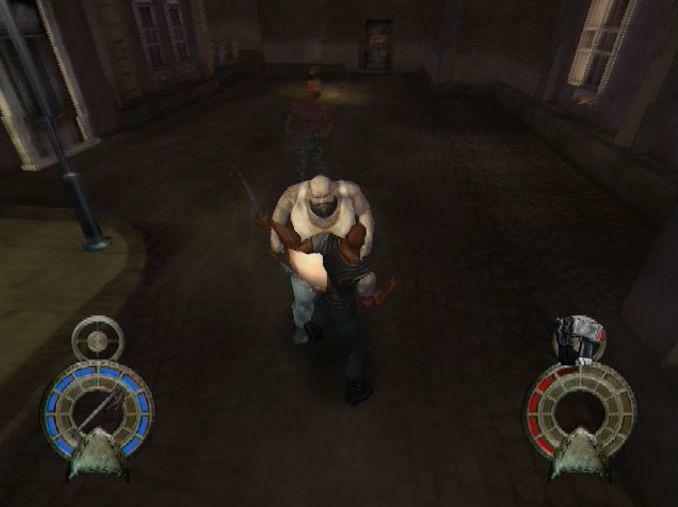 2002 saw the release of two major franchise sequels from Acclaim on the sixth generation of consoles. The big fall release was the infamous Turok: Evolution, which arrived on every piece of hardware available at the time: The GameCube, PlayStation 2, Xbox, PC, and even a spin-off on the Game Boy Advance. 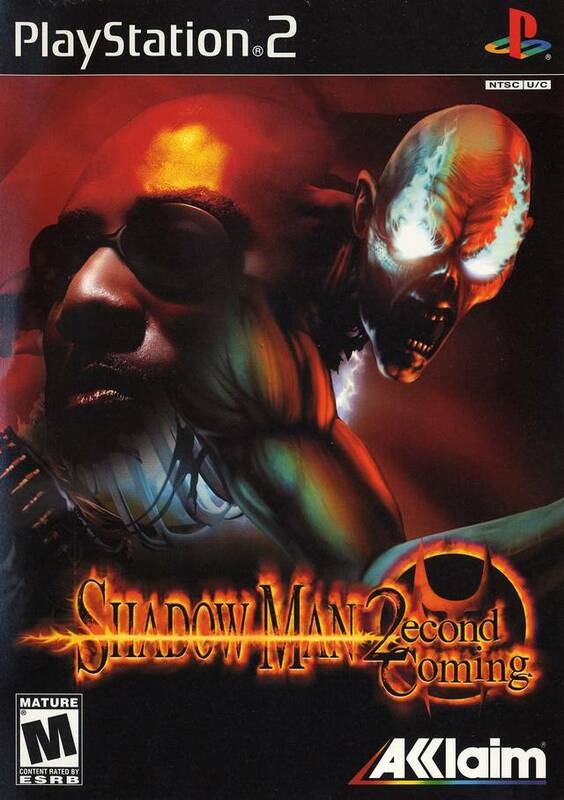 The second arrived at a quieter time for game releases, the month of March, and was a follow-up to Shadow Man, unfortunately titled Shadow Man: 2econd Coming, which only arrived on the PS2 despite the original being ported to everything except the Game Boy Color. The game wasn’t even pressed to a DVD, the new standard medium of the PS2, instead it’s one of the few “blue label” CD-ROM games that arrived early in the consoles life cycle. With all that in mind, you’d think Acclaim was trying to make a statement that the sequel to Shadow Man was something they were trying to hide, but that’s not the case at all. 2econd Coming is perhaps the best second chapter to any of Acclaim’s comic book properties. It feels like a much different game than the one that came before it with a greater emphasis on action, but if you liked the first game in the franchise, 2econd Coming is definitely worth looking into. Shadow Man: 2econd Coming picks up close the conclusion of 1999’s Shadow Man. Upon returning to the real world from Deadside, Mike Leroi, otherwise known as Shadow Man, is once again given the role of averting yet another conflict of apocalyptic proportion. Evil forces are seeking an ancient codex, a book locked by special seals, that will release a caged demon by the name of Asmodeus. Shadow Man is tasked with finding the keys to opening the ancient tome and to stop this ancient evil once and for all. From a story perspective, at least starting out, 2econd Coming does a much better job of handling story than the first game. The opening sections all take place in the real world and Mike/Shadow Man interacts a lot more with members of the supporting cast. Once you leave the opening section however, the story of the game takes a back seat, to the point that towards the end of the game when a sub-plot is resolved, I forgot that this was one of the reasons why I was embarking on the quest to begin with. Much like the first game however, I didn’t mind the fact that I wasn’t playing for the story, as the world and gameplay more than make up for it. The original game cribbed a lot from the Metroid school of design, and the initial impression the game gives off, you’d think the sequel is much the same. You start out in real world Louisiana where you have to back-track from a few small areas completing objectives for characters, and opening up new areas once you get new tools and weapons. Once you leave this area and venture back into Deadside as well as other parts of the world, things feel a lot more linear. Abilities you get later in the game allow you access to previously inaccessible areas, but back-tracking is not encouraged as much here. That may sound like a negative against the game, but compared to the first title which really needed a walk-through in order to get through, it’s much easier to navigate and get around in 2econd Coming. There’s still a decent amount of exploration within each of the game’s many stages, which offer a lot more variety as you spend an equal amount of time between the real world and Deadside this time around. Not that there wasn’t variation in the areas in the first game, but the contrast between snowy Russia and Ireland is greater than an evil asylum and an otherwise dead world. The first game required you to collect Dark Souls in order to progress, often requiring you to replay entire sections multiple times. You still have to collect things in 2econd Coming, this time its keys to unlock the codex book, however you’ll gather all of them before you move onto another area, and while the pieces are hidden well, you’ll rarely become frustrated by not being able to locate a key. 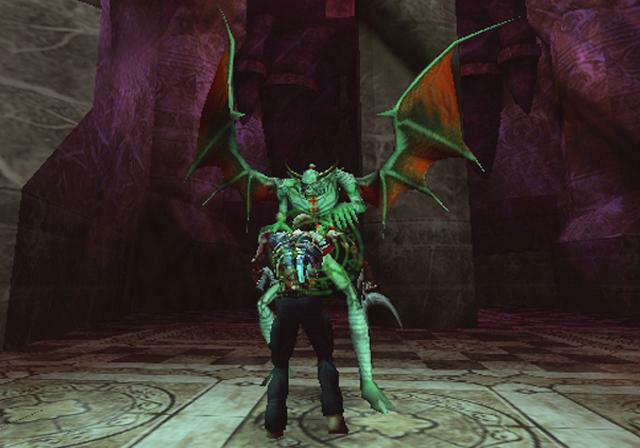 This offers a reasonable amount of challenge without being too easy or frustrating, at least from an exploration side. You do get a map this time around, which I was very greatly for, until I realized that it’s not the most intuitive thing to read. As this game is much more linear than its predecessor, it wasn’t that much of an issue though. Shadow Man: 2econd Coming is an action/adventure/plat-former but this time around the control scheme and design adds a lot more action into the mix. The controls at first can take some getting used to, especially movement as you move with one stick and strafe with the other, but it won’t be too long until they click. One area in which they do become a headache however are in temples where you have to complete challenges that require you to balance run across a thin beam on a very small time limit. Balancing movement with strafing using two sticks in these circumstances leads to some frustration, but thankfully these situations don’t happen very often. Once again you can dual-wield weapons, but this time you can equip up to four items by mapping what you want to use most on the R2 and L2 buttons with a secondary weapon set being set to the R1 and L1 triggers. Some weapons, like a sniper rifle, require two hands so you have to sacrifice having two weapons for three. Shadow Man relied on a lock-on mechanic like Legend of Zelda: Ocarina of Time, which worked but it made you want to run away from enemies more than fight them. Here things feel a little bit more modern, as you have to free-aim when using either a projectile or melee weapon. I didn’t wrestle with the controls as much as I thought I would, except for in the few rare circumstances where you have to use your sniper rifle when you have to move the scope with one stick and zoom in and out with another. Normally I keep a long distance ranged weapon in my arsenal at all times should one be available, but in 2econd Coming I kept it unequipped until it was absolutely necessary. There was a decent amount of weapons available to you in Shadow Man and 2econd Coming follows in this trend. Not only do you get real world melee weapons and fire arms, but new voodoo spells as well as angelic weapons like a two-handed broadsword and a magical crossbow. Though I did tend to stick with a load out of four reliable weapons, the game encouraged me more so than the original game to swap between guns and magical artifacts more often. Without doing much or any back-tracking, you get most of the game’s extensive arsenal, but an issue is that unlike the first game, 2econd Coming offers little incentive to seek out tools that require you to return to already completed areas. The game checkpoints regularly, so dying sets you back very little, even at bosses. At the final encounter in the game, I felt little in the way of stress or danger as I knew that I could chip away at his health with even my weakest of weapons with little to no regard for my safety as I could respawn with the amount of damage I already inflicted still counting. Also outside of the first area you never really need tools to move forward, so that’s one less reason to hunt for other relics and weapons, which is a stark contrast to Shadow Man. As you spent most of the time in Deadside in Shadow Man, not much effort was made to distinguish the character models for both Mike and Shadow Man, which has been changed not only for a cosmetic purpose in 2econd Coming, but as a gameplay mechanic as well. In the first game as well as in this one, you have the teddy bear item which originally belonged to Mike’s brother that allowed you to warp back and forth between parts of Deadside and in the real world. 2econd Coming adds another family item, your father’s watch, that allows you to switch between day and night. During the daytime you play as Mike and when things turn dark, you revert to Shadow Man, each of which have their own unique qualities. Though the bigger enemies and bosses look scary, you more or less can’t die so you can be as reckless as you like. As Mike you can move large blocks in the environment that block your path or to create platforms. Shadow Man can swim underwater indefintely, can use magical items that Mike can’t, and can survive falling from heights. The idea of Mike and his alter ego is an interesting idea, but it’s not taken that far to be a worthwhile mechanic. Outside of when you have to move a block, there’s never a reason not to be Shadow Man. Not only is Shadow Man a more interesting visual character, looking a lot more gaunt and zombie-like, but on top of all the other attributes, he has a light in his rib cage that makes it much easier to see things in the environment. Had they say, made Mike a better fighter for real world enemies, that would’ve been another reason to stay in that form, but both characters are equal as combatants, and most of the enemies are supernatural ones that are better dispatched with Shadow Man’s magical and angelic arsenal. The puzzles in this game are basic flip a switch, go through a door or jump across a few platforms, so this duality could have led to some interesting situations but unfortunately, the mechanic is poorly underutilized. Shadow Man: 2econd Coming is not as open a game as the first game in the franchise, but instead of feeling like this game is more constricted, it just comes across as more focused, and this gives each of the games their own unique identity. The controls can take some getting used to at first, and I would’ve liked it if Acclaim Teeside had given more incentive for me to not by Shadow Man, but those small complaints aside, if you liked the first game even a little bit, there’s no reason not to pick up Shadow Man: 2econd Coming. 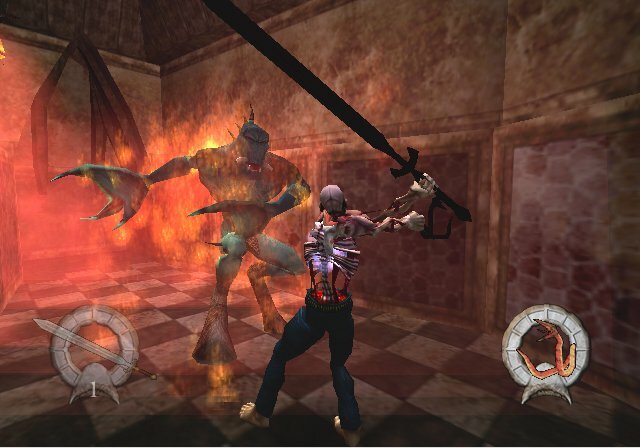 Though the Shadow Man series has nowhere near the number of games the Turok series had, this franchise is probably the best one that Acclaim produced and it’s a shame that they didn’t really get the chance to develop a third chapter before their demise. result of having clicked on a web link from YouTube.